A few days ago, Vaghela had toured various places, including Delhi, and declared that he will fight for removal of the BJP-led government at the Centre in general elections. 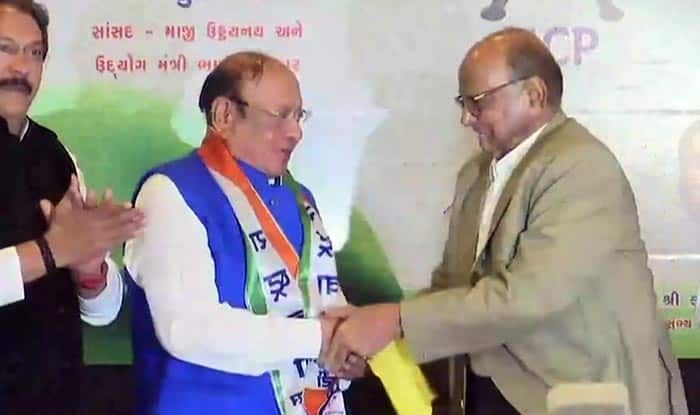 New Delhi: Former Chief Minister of Gujarat and veteran Congress leader Shankersinh Vaghela joined Nationalist Congress Party (NCP) in presence of party chief Sharad Pawar. “Vaghela ji is a dynamic leader who knows the pulse of state and the country. I welcome his entry into the NCP and it will give a boost to the party in the state,” Gujarat NCP president Jayant Patel alias Boski had said earlier. In 2017, before the Gujarat Assembly Polls, the 78-year-old Kshatriya strongman fell out with the Congress after the party reportedly refused to pay heed to his demands that he be declared the chief ministerial nominee and given a free hand in selecting the party candidates. He and a few MLAs supporting him backed BJP nominee Balwantsinh Rajput and voted against Congress stalwart Ahmed Patel in the Rajya Sabha elections. However, Patel went on to win the battle after the Election Commission invalidated the votes of two rebel Congress MLAs for the violation of poll procedure. Meanwhile, political analysts believed that Vaghela’s entry into the NCP can lead to a three-cornered fight in some seats in Gujarat, in case the Sharad Pawar led outfit doesn’t choose for a pre-poll tie-up with the Congress in 2019 Lok Sabha elections. The state has 26 Lok Sabha seats and all of them were won by the BJP in the 2014 general elections.